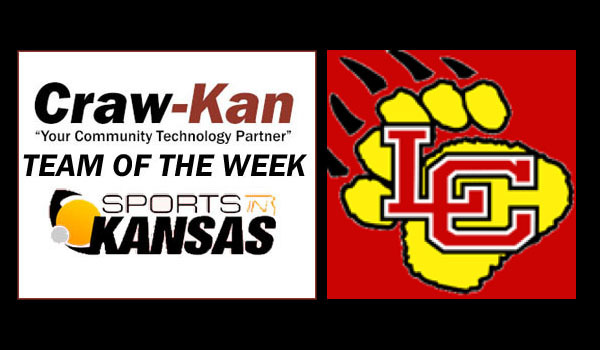 The Craw-Kan "Your Community Technology Partner" Team of the Week from Southeast Kansas is the Labette County High School Grizzlies basketball team led by head coach Kristi Snider. The Grizzlies beat rival Parsons in a high profiled SEK League Matchup with first place on the line , 69-60, on Friday night in Altamont. The game was tied 55-all at the end of regulation. LCHS was led in scoring by three players in double-figures. Madison Brannin had 19 points, Justice Brackney had 17 points while Anna Dean chipped in 12 on the night. Halle Bevans and and Payton Smith each had eight. Labette has had one heck of a season so far after being hit heavy by graduation as 2,000+ point career scorer Tristan Gegg graduated and is now at Pittsburg State. The 2018-2019 Grizzlies have gotten it done with a total team effort in this season. LCHS, undefeated in league play and in first place, will be back in action on Friday against Chanute. Labette knocked off Chanute 52-48 earlier this season on December 11th. The Grizzlies improved to 12-2 on the year with Friday's win with their only losses coming in non-conference matchups to Towanda-Circle and Sabetha. They are ranked 6th in the latest 4A Girls KBCA Poll that was released on Monday afternoon.